Developmental (behavioural) optometrists (which is what we are) treat amblyopia using the better approach. If you are looking for a developmental or behavioural optometrist, visit the website of the College of Optometrists in Vision Development. 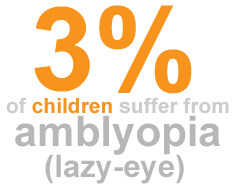 For more information on amblyopia, including alternatives to patching, visit www.amblyopia.ca.